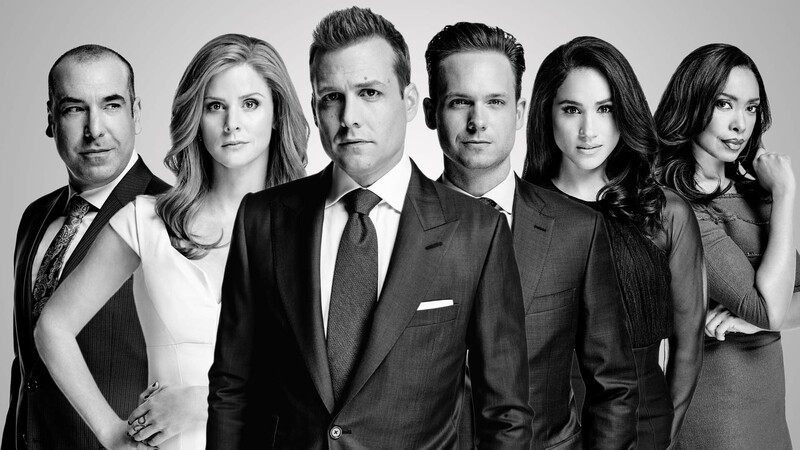 Suits – Season 6 is back with a BANG! Suits is a series related to law that began in 2011. And with its 6th season currently on air, I must say it is back for the better! The first episode of the first season introduces us to a character called Mike Ross, who is witty as the word itself and genius like none we have seen before. He has the talent of memorizing textbooks and novels – basically anything he glances at even for a second. And, he is handsome as well. After having been engaged in some foul business of illegal substances, he ends up getting hired as an associate to Harvey Specter, a senior partner at Pearson-Hardman who knows nothing about losing. As much as the self-aggrandizing human being that Harvey is, Mike finds him to be the perfect boss and the two make an amazing pair. Two snobs who are on a roll of winning every case they get and proving their already proven skills, they entertain us with their witty and shrewd humor, not-so-overt sentiments and repeated conflicts. To add spice to the story, we have another character Louis Litt who never fails to surprise us with what he’s got up his sleeve. His facial expressions are as adorable as much as they are abhorable and his weirdly true struggles make him a man we hate and love simultaneously. Moreover Louis is sentimental about cats, so cat lovers might find him very interesting! Jessica Pearson, the managing partner of Pearson-Hardman is a tough lady we enjoy seeing. The way she rules her decisions over others and makes her presence felt is an absolute delight. In a brutally chauvinistic world, characters like hers are just what women want to see! Being a woman, in fact being a woman of colour and being in charge, Jessica shows us what it’s like when a woman has a voice that cannot be oppressed! Another lawyer in the making but currently a paralegal, Rachel Zane is Mike’s girlfriend. The two are like foil to each other’s flaws and add the much needed romance to the story. Rachel is another depiction of a strong woman who knows how to get herself heard. Another character that I absolutely love in this series is Donna Paulsen who is a steadfast, blunt and loyal person. Her composure and ability to insult those crossing their limits is perhaps the thing I look forward to the most. What is amazing about this series, though many find it monotonous and boring (which I admit is true at times), is that it has the drollest dialogues that could possibly be penned down, and characters like Mike and Harvey that can’t be matched! The conviction with which cases are fought, the means opted to get to the truth and the pressure under which everyone works, makes me tingle with excitement, often making me wish I was as amazing a lawyer as one working at Pearson-Hardman. The views expressed in this article are those of the author and do not necessarily represent the views of any organization with which she might be associated. The writer is an intern at CourtingThelaw and is a student of A-Levels at Beaconhouse School System, Faisalabad where she has also served as the Head Girl. She has keen interest in writing and debating.